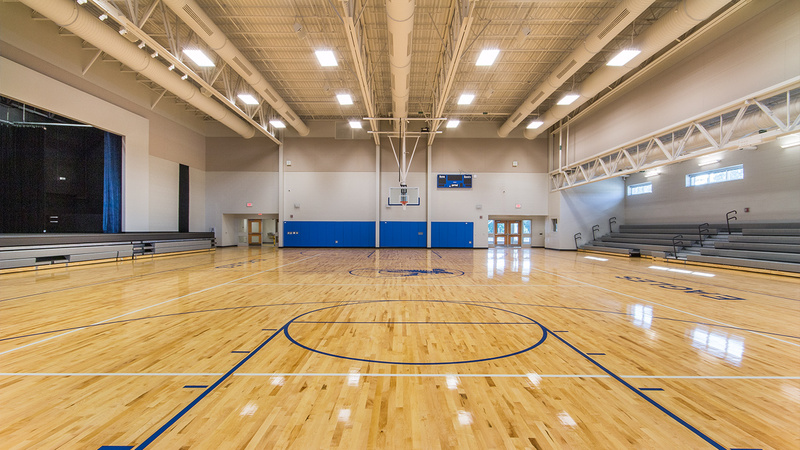 Design a new gymnasium, with regulation-sized basketball court, full-sized stage, and seating for 1,175 people, and provide a new, secure entrance along with administrative support spaces. 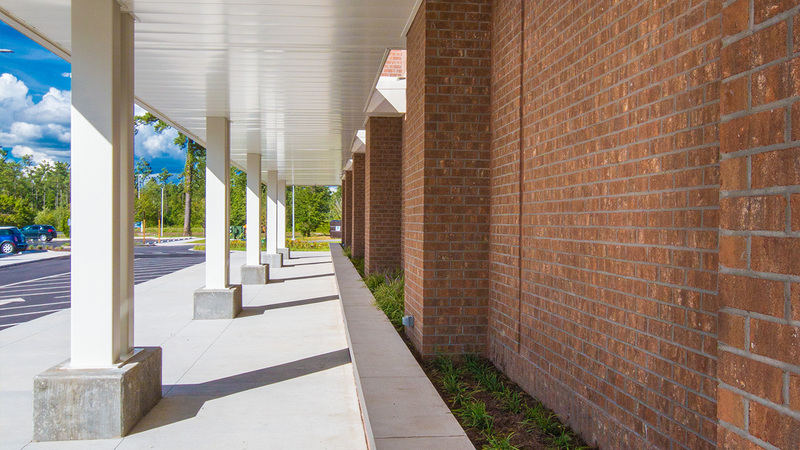 Working with the Brunswick County Board of Education and the community, the desire to regain the 1930's era landmark school, which was demolished in the 1970s, became a goal. 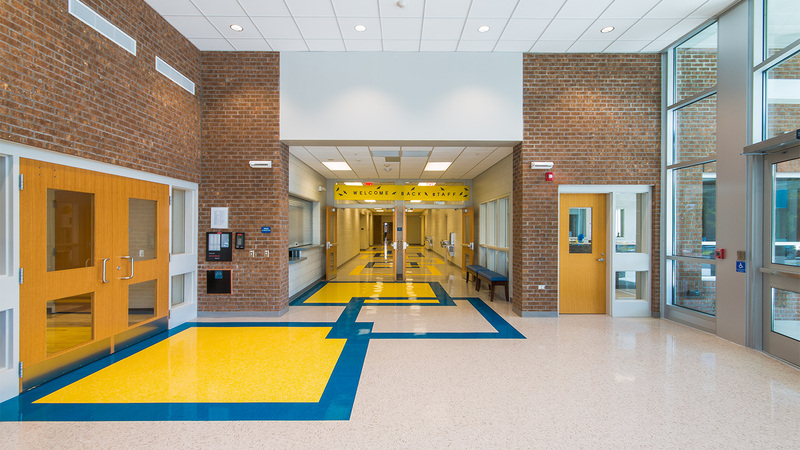 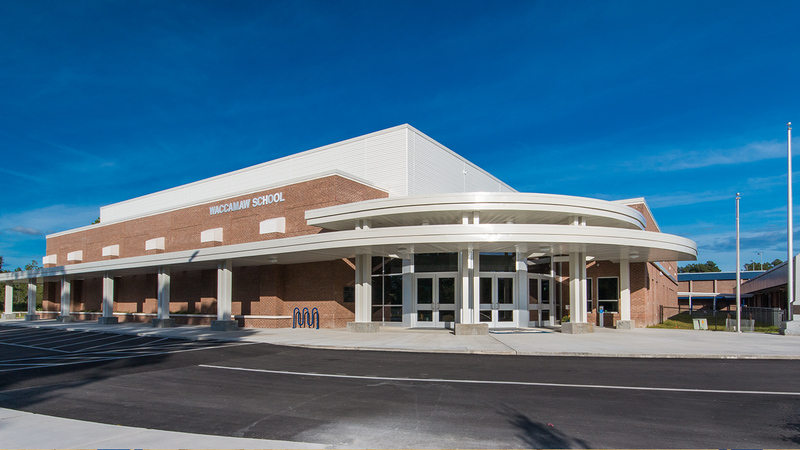 In addition to providing a new gymnasium and administration area, this project includes a new design for vehicular circulation to accommodate parents, teachers, and visitors. 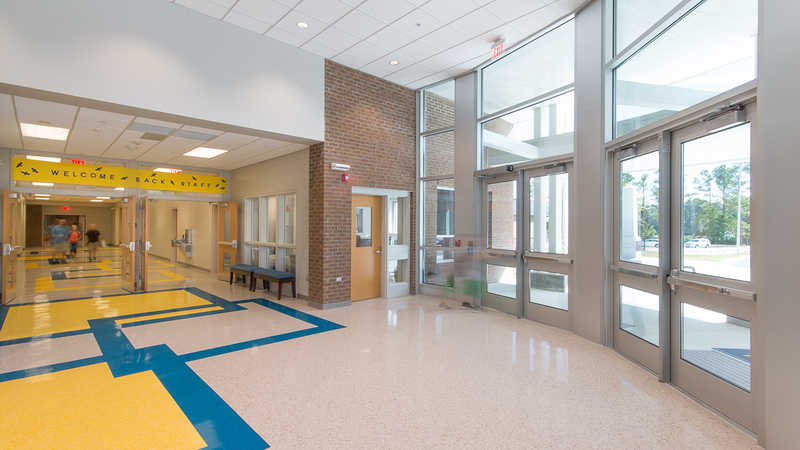 This new layout aids in re-establishing the central core of the school while addressing the need for a more streamlined drop off/pick up route.